“Every lipstick, has a story, you just need the heart to listen to it…” read somewhere…and these lines fits appropriate for today’s lipstick post. The lipstick that travels far from abroad in my kitty definitely has something in it for which it is able to draw my attention towards it. 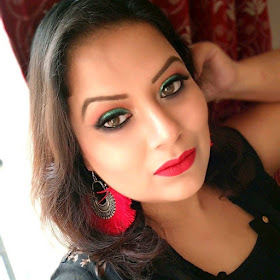 When the whole blogging world raving about liquid matte lipsticks from a different brand, I couldn’t stop myself to enlist my name for the same. Every single brand, from simple drugstore to high-end brand are getting into the trend of “liquid matte lipsticks.” Few brands already reach the peak of success while few still struggling. DOSE OF COLOR is one of the brands that I think no need an introduction. Still those who are not aware of the brand, let me help you by giving a small intro. 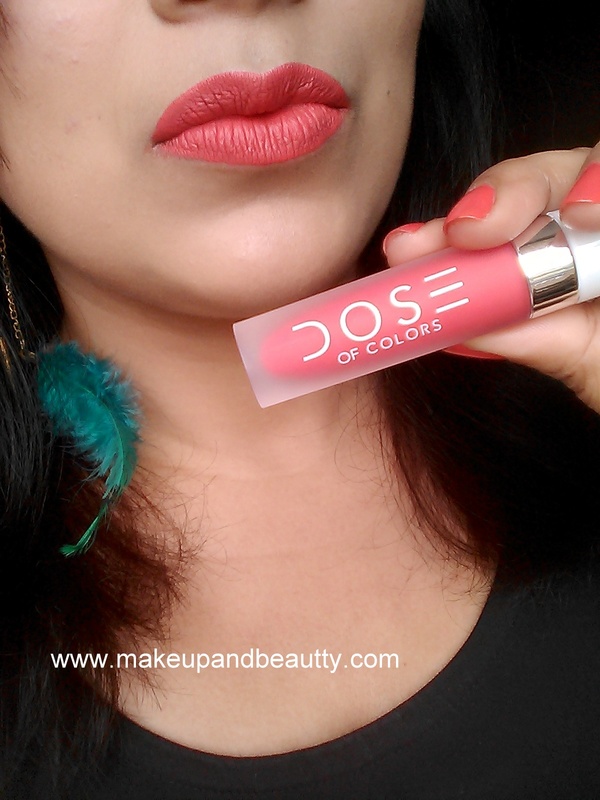 DOSE OF COLOR is a cosmetic brand in the USA that made cruelty free cosmetics. They have a wide range of some awesome cosmetics among which “the liquid matte lipsticks” are the hit. 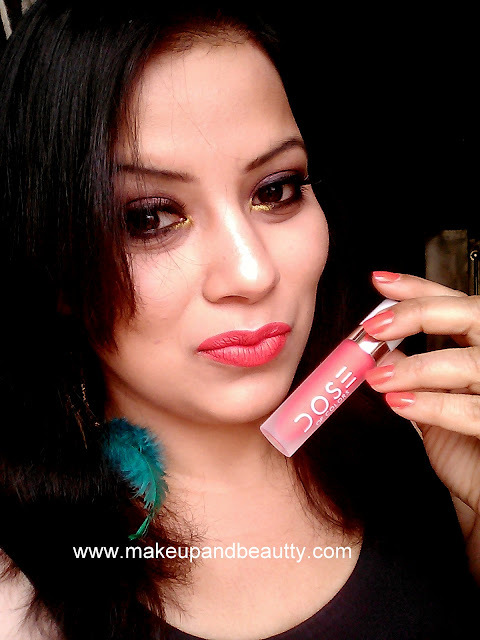 I found many foreign bloggers was just raving about the dose of color liquid matte lipsticks. Sadly the brand is not available in India so either you have to look for seller or reseller for the brand on Facebook or on Instagram or you can order from many international websites if you have a credit card. 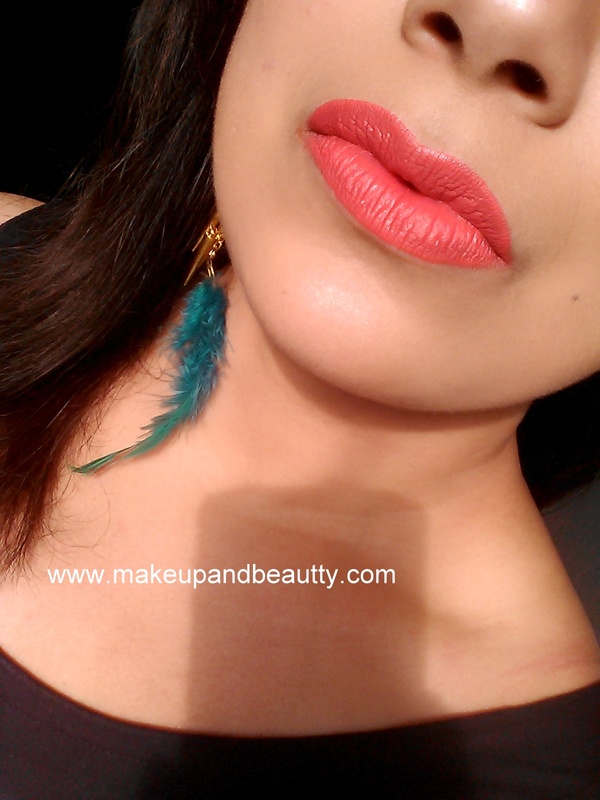 The color is a beautiful coral shade which looks very pretty on warm skin tone mostly. Definitely, it is a color that is meant for fair to medium skin tone. But if you are confident about the shade then definitely you can try this out. 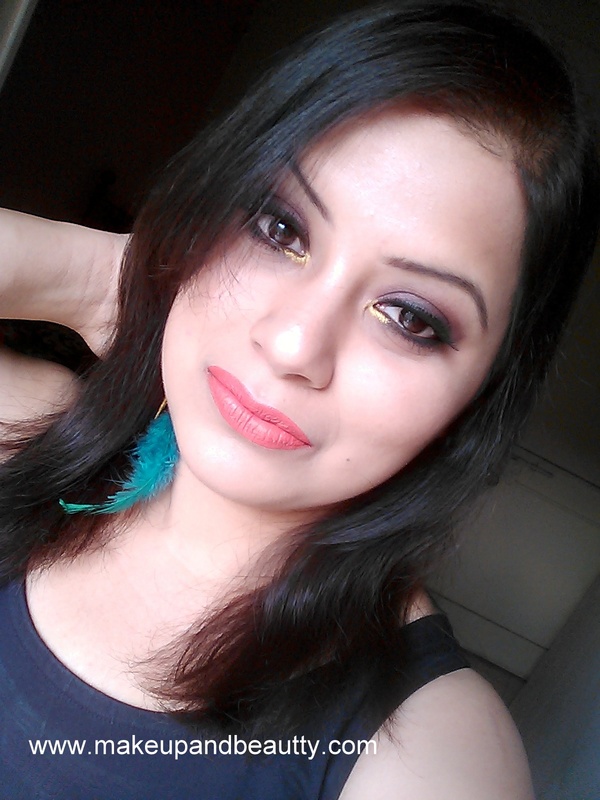 After all, MAKEUP IS ALL ABOUT WHATEVER YOU CARRY CONFIDENTLY. 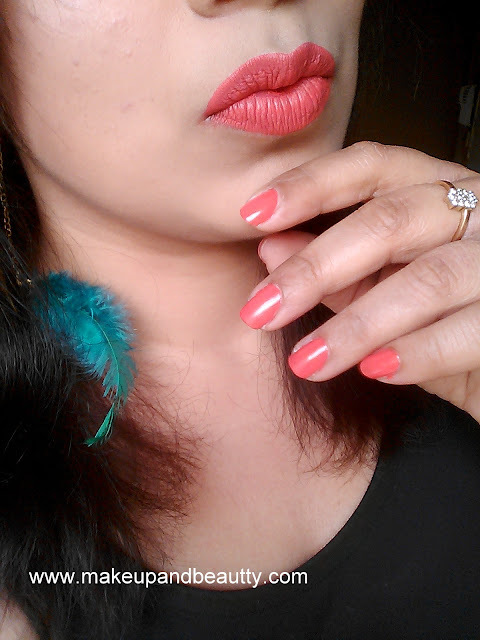 So, DOSE OF COLOR MATTE LIQUID LIPSTICK in CORAL CRUSH is a beautiful coral lipstick that is made for matte lovers only. 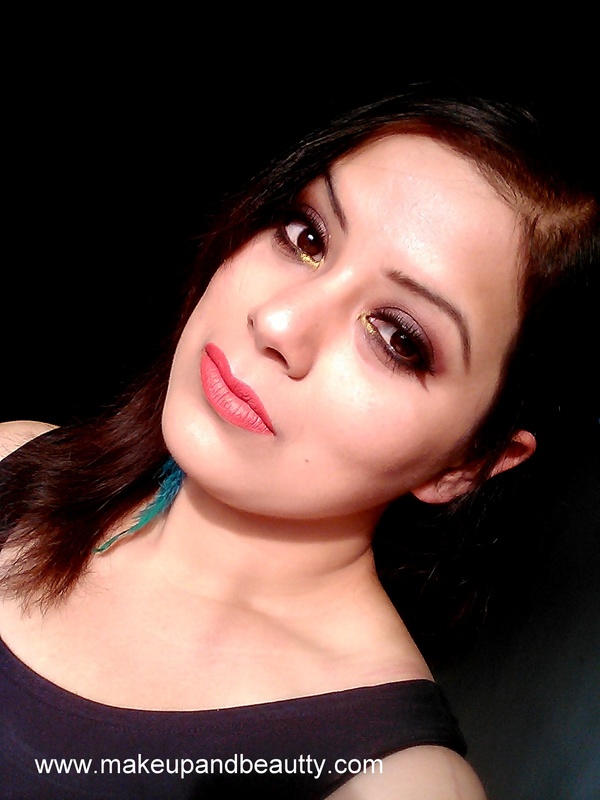 LIMECRIME Velvetine in shade "suedeberry" can be nearrest dupe to DOSE OF COLOR in "coral crush". Have you tried out this brand yet? What’s your thoughts regarding the same?